KnightFall Part 7. Poison Ivy plots to control Gotham's wealthiest and most influential men, while the Joker and Scarecrow have some fun with Mayor Krol and Gotham's finest in "Strange Deadfellows." KnightFall continues in Detective Comics (1937- ) #662. Written by Doug Moench. Pencils by Jim Aparo. Inks by Bob Wiacek. 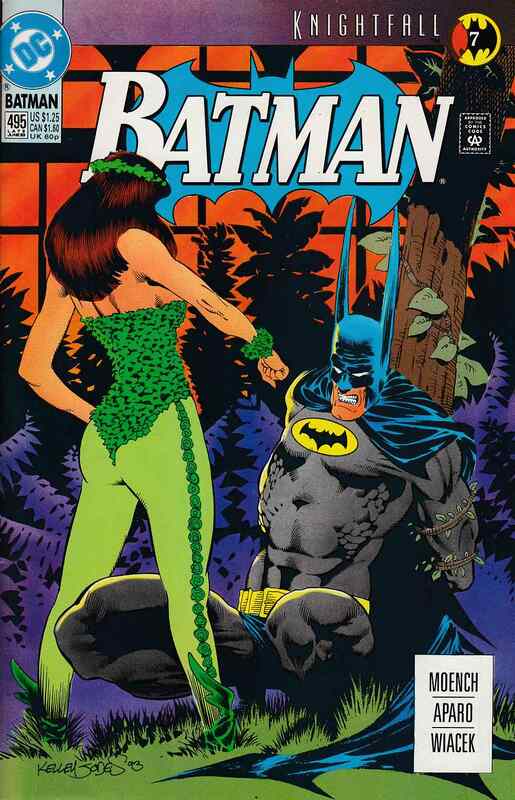 Cover by Kelley Jones.